Ethereal and lithe, quite funky…it demands more of you than the average. Deep dark red velvet fruit, pronounced reductive and damp funk which graciously clears a bit with air but retains a firm hand in shaping aromas. A few hours in the decanter does wonders as does a bit of hearty food. Sous bois and cherry rubber before ruby red grapefruit pith on the mid-palate. That screaming acidity hides within the gentile and soft palate, adding to the sandalwood and citrus tea complexity. The flavors of the wine are ghostly, nudging close and washing away. 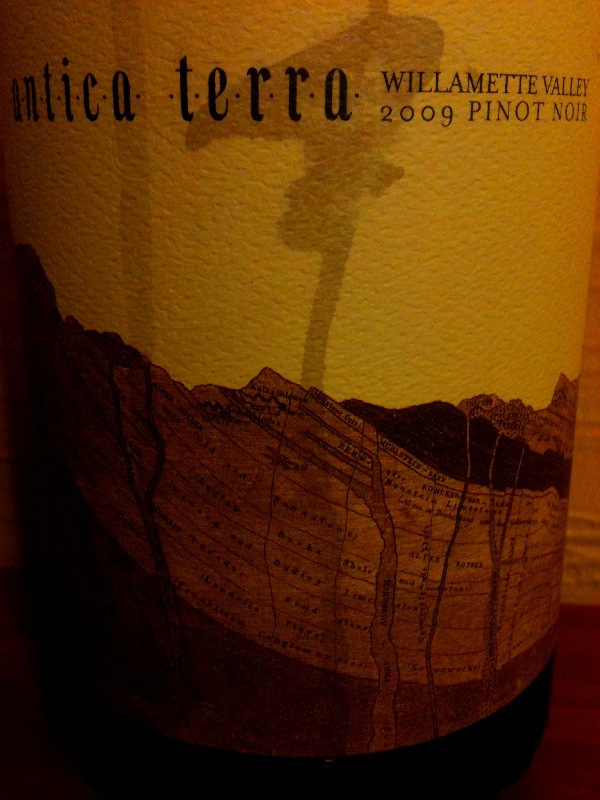 Very long, precise and gushing finish with a whisper of drying coffee bean tannin. This ain’t no cocktail wine. This is the real deal. Because of the reductive nature of this wine, I’d let this rest for a good 4 years. It’s going to be drink beautifully well into the 2020’s…the best is yet to come. Eyrie is distinguished as the first producer of Pinot noir in the Willamette Valley and America’s first producer of Pinot gris. David Lett is considered the father of Willamette Valley Pinot Noir. Thank goodness he went against all odds and made the move from California to Oregon in the mid 1960’s, seeking cooler climates to grow Pinot Noir. 2007 was the last vintage that David had a hand in creating, as he passed away in 2008. I toasted to his memory with this bottle. The Original Vines of Pinot Noir were planted between 1967 and 1973 on their own roots on the southern flank of the Dundee Hills at 220′-400′ feet elevation. These 40 year old vines are the oldest in the Willamette Valley. In addition to Pinot Noir, David Lett planted Chardonnay, Pinot gris, Pinot Meunier and Muscat Ottonel on this 20 acre parcel. These days, David’s son, Jason Lett, is the caretaker of Eyrie’s traditions and is a wonderful spokesperson for Oregon wine. The process in the winery is traditional and transparent. The fruit is de-stemmed and wild fermented in small bins and punched down by hand every four hours. After a gentle pressing, the wine is transferred to barrel (very little new oak, minimal racking) and spends two years in barrel, where complete and spontaneous malolactic fermentation takes place. The wine falls naturally clear, and is bottled without filtration or fining. It may just be the quintessential Oregon wine. 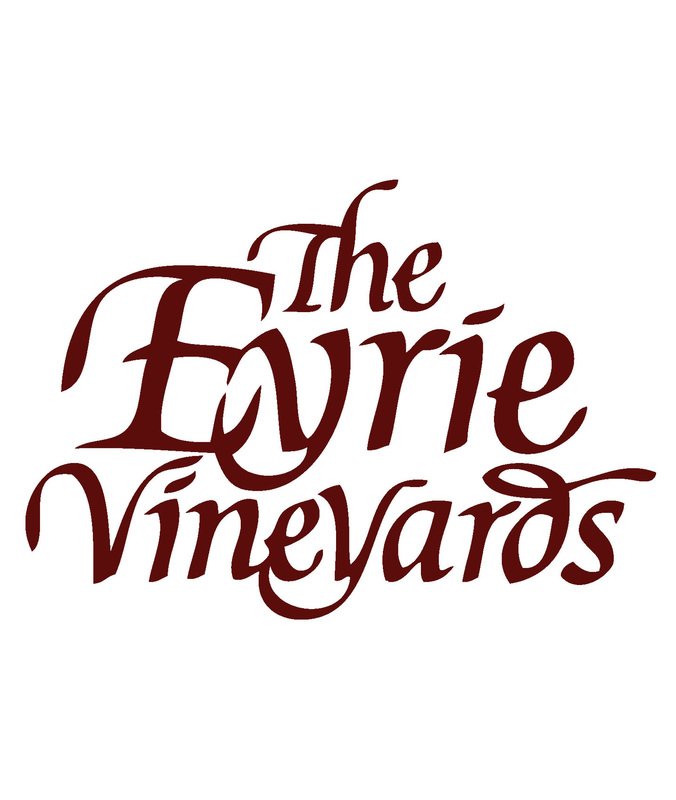 To learn more about Oregon wine history, visit Eyrie. Rich, smokey oak subdues notes of baked earth, cinnamon red hots, sage and roasted strawberry on the nose. The oak is front and center with grippy tannins up front before the wine smooths into nice mid-palate texture. The palate displays flavors of cinnamon red hots, dark raspberry, mocha and sandalwood and christmas spice. Decent acidity leads to good persistence. The alcohol is present, though in check. 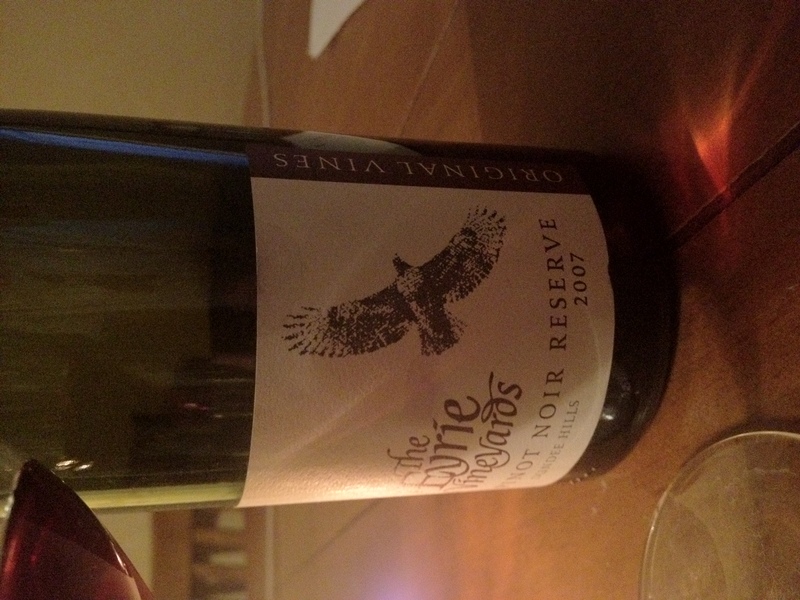 This wine is showy and forward, typical of 2009. I think this wine needs at least 3-5 years in the bottle to eat the oak and bottle aging with slowly and gently calm the wine’s warm youthful exuberance. Though it’s not singing for me right now I have never had the chance to taste Thomas so soon after release. Rest assured the best is to come. Wait on this one.